WITH FOUR SEQUEL MINI-SERIES EPISODES. 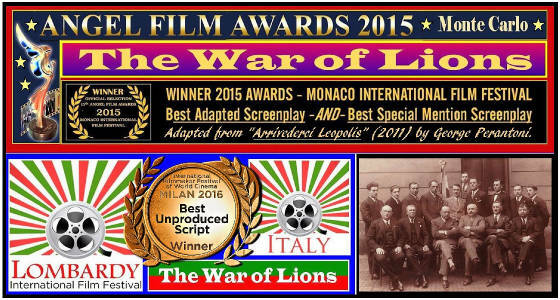 "The War of Lions" / "Reprisal of Lions"
protagonist photographs and a 78-page graphic novel. Volargne di Dolcé in northern Italy's Valpolicella region. to the post-war betrayal of Poland.